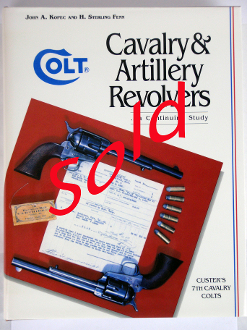 Book Details: This book serves as a historic reference and identification guide for Colt Cavalry & Artillery Revolver. The jacket is in excellent shape with no tears or curling. There are a few marks on the back jacket. The cover shows no wear with a no scuff marks. Overall really nice cover. Nice black & white illustrations. Measuring 8 3/4” x 11 1/4”. Copyright © 2010-2019 Ben & Terry's Inv. All rights reserved.